Have you ever felt trapped and caught up in a reaction, not able to pull out of it? Our reactions are triggered by feelings, which are started by a certain type of thought. Blame, anger, resentment, fear, all these come from your set beliefs. If you continually find the same feelings being acted out, look for a common thread, or theme to them. I was noticing that accidental things were happening and I was feeling victimized by Life: I was playfully chasing my cat around the house, and I knocked over and broke a beautiful Buddha statue that was a gift from my son; we renovated our townhouse with gorgeous new flooring tiles and they had used two different batches and it showed; then when we moved in, I dropped a glass coaster and it bounced and rolled across the new tiles, scratching them permanently – on the first day! I was caught up in my reactions, and could see that I felt like a victim. So as I processed this, I thought it was my old poor-me, victim beliefs coming up. But when I looked beyond at the similarity of the circumstances, it was a feeling of permanent disappointments. I knew this might be a trigger from an early life theme, because I was told the story of how one weekend my sister and I were waiting on the front porch with our suitcases packed, dressed in our Sunday-best, ready for a weekend visit with our father. When my mother finally called him, he was drunk and unable to take us for the weekend. I cannot say that I remember that event(I was less than 4 years old), but it would be a good guess that I either had judgements about myself or him, and I know I felt my mother’s resolve to protect us from disappointments when I heard the story. She threatened that he would never see us again if he ever repeated it. After that he always showed up sober and on time for our visits. So I used that awareness to do SpeedShifting(TM) on disappointment. I looked for many places in my life where I felt disappointment and reacted (badly) by blaming, justifying, demanding and insisting my family make sure I didn’t have to go through that again. In my mind’s eye, I began running SpeedShifting(TM) on those inappropriate negative reactions. Finally, when it was fully expressed, I completed the SpeedShifting(TM) process and immediately felt the space available. I have more freedom in a huge area now, and new possibilities fill that beautiful space – more peacefulness, more fun, more success, more appreciation. This is the gift that SpeedShifting(TM) is to me. 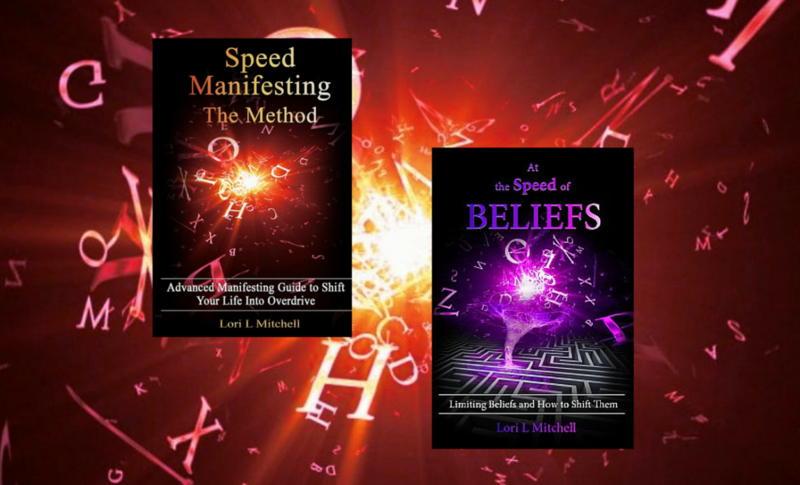 Hi Lori, thank you for the next level insights offered in this blog. Like you are also have worked through the victim mentality, so I loved how you opened up another level of awareness. I know I felt stuck with old stuff resurfacing that I knew I had dealt with. So I found this blog like a breath of fresh air, as I felt the energy begin flowing again. An important reminder to also not ‘focus’ in on old stuff but rather be open to news ways in which the information is showing up. Truly inspiring! I can also vouch highly for your SPEED Shifting technique which is very efficient and effective. Thank you for Being You. In Light.